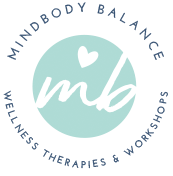 The Wellness & Mindfulness Workshops I’ve developed offer balancing strategies and mindfulness practices to reduce mental, emotional and physical stress, improve confidence and communication skills, manage emotions in a healthy way and develop a keen sense of self-awareness. * Please inquire for specific workshop and presentation rates for your group or organization. In today’s world we glorify ‘busy’ and our lives are jam packed full of responsibility, obligations and commitments. We are over-worked and under-rested. When the bodymind is in a constant state of fight or flight mode communication begins to breakdown within its systems and both mental and physical health become at stake. The benefits of practicing mindfulness daily to reduce stress, balance emotions and achieve wellness emotionally, mentally and physically are powerful. In this workshop you will learn how to identify key limiting belief systems that keep you stuck in patterns of stress and unhealthy behaviours and help you develop self-care practices to improve all aspects of your health. You will be led through mindfulness activities such as ‘the heart check-in’, focused breathing & brain balancing techniques, guided visual imagery & mindful journaling to help you establish an easy, daily mindfulness routine to balance your overall health, improve relationships, bring more joy to your life, and practice a life full of abundance. Raising tiny humans is hard! Parenting is one of the most difficult, high pressure, high stress jobs that exists and one of the most important aspects of parenting that influences the development of our children, is the state of our own mental health and the managing strategies we incorporate to achieve balance and wellness in our lives. Our little people are watching and learning from our actions, not our words, and this workshop is designed to help you identify your belief systems about parenting that drive your own parenting behaviors. Awareness of the belief systems and emotional programming we are attaching to, is crucial to understanding the behavioural patterns of your children. In this workshop you will learn mindfulness practices to use in the home to develop healthy relationship & communication skills within your family. In mindfulness practice we have a saying that goes like this. ‘Parent yourself first’ With a focus on modelling healthy self-care behaviours and incorporating mindfulness strategies for your own mental health, you will influence a positive mental and emotional shift in your children. With an increasing awareness of the importance of mental health with our youth, providing them with opportunities to explore their emotional programming and develop skills and strategies to process their emotions in a healthy, mindful way, is necessary and powerful. This workshop for all ages will help your child improve self-regulating behaviours, natural conflict resolution, focus and concentration, problems solving skills, confidence, compassion for others, self-awareness, communication skills and much more. Through Journaling, Mindfulness activities & practices and discussion they will engage both their left and right brain for exploring a deeper awareness of the physical, mental and emotional aspects of their minds and bodies. They will learn life long skills of how to take their body out of emergency mode, help de-stress and manage anxiety and emotions. The relationship dynamics within a workplace play a key part in the mental health of the people within it. With most adults spending more of their waking hours at work than anywhere else, addressing issues of workplace mental health is vitally important. 70% of employed Canadians are concerned with the Psychological health and safety of their workplace and 30% of short and long term disability claims are attributed to mental health. Mental health in the workplace affects employee productivity, abseentism, and turnover rates. (mentalhealthcommissuin.ca) This mindfulness based workshop is designed to help improve the relationship dynamics within a staff, by addressing key mental health factors that affect the workplace, and implementing specific strategies and practices for both employees and employers to achieve Intentional wellness. Participants will be led through a series of mindfulness practices such as ‘the emotional check-in’, focused Intentional breathing & brain balancing techniques, guided visual imagery and more. The goal is to help all contributing people within the workplace develop healthy self-awareness, effective communication skills and consistent self-care practices that contribute to an overall positive shift in the work group dynamic itself.